The San Diego Padres, who recently joined the race for free-agent outfielder Bryce Harper, are in on free-agent left-hander Gio Gonzalez, according to Jon Morosi of Fox Sports and MLB Network. Morosi explained the impact Gonzalez would have in a Padres uniform: "Gonzalez, 33, would add experience to a Padres rotation that may otherwise consist entirely of starting pitchers who are 28 and younger. Gonzalez has pitched effectively at Petco Park, with a .592 opponents' OPS in five starts. And Gonzalez is represented by Scott Boras, the same agent as Harper." The left-hander did not enjoy a productive 2018, as he went 10-11 with a 4.21 ERA for the Washington Nationals and Milwaukee Brewers. After leading the National League with 79 walks in 2017, Gonzalez had one more in 2018 despite pitching 30 fewer innings. Per FanGraphs, Gonzalez also had the highest xFIP and second-lowest strikeout rate of his career. 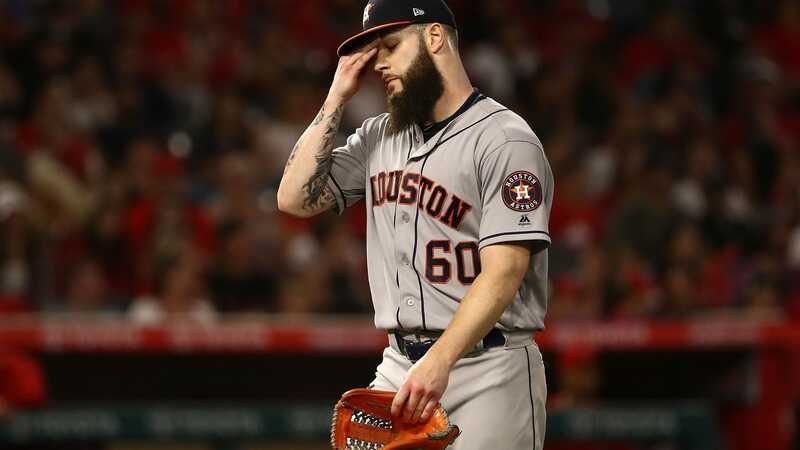 But a change of scenery could do some good for Gonzalez, who finished sixth in the 2017 National League Cy Young race thanks largely because of a 2.96 ERA. As Morosi noted, Gonzalez has found success in Petco Park, which has played as a neutral to pitcher-friendly park over the years. He also could be the ace (or No. 2 pitcher) on a staff where no potential starter had a sub-four ERA last season. The Padres open their season at home against the San Francisco Giants on Thursday, March 28.